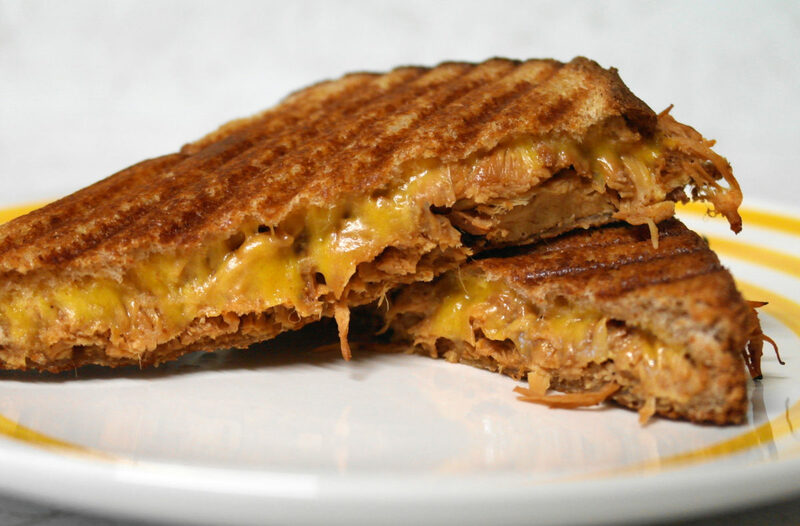 When pulled barbecue chicken is smothered in melted cheddar and locked into a panini press, it’s only a matter of time before you’ll find yourself thanking yourself for having such an amazing idea. It’s a great way to get some comfort food, enjoy some warmth, and take in a dose of smokey flavor from slow-cooked chicken. Yes, it may not be the right bird for November, but it’s tasty, and really that’s all that matters.